The Battle of Kunduz took place from April to October 2015 for control of the city of Kunduz, located in northern Afghanistan, with Taliban fighters attempting to seize the city and displace Afghan security forces. On 28 September 2015, the Taliban forces suddenly overran the city, with government forces retreating outside the city. The capture marked the first time since 2001 that the Taliban had taken control of a major city in Afghanistan. The Afghan government claimed to have largely recaptured Kunduz by 1 October 2015 in a counterattack, although local sources in the city disputed the claim made by government officials. Situation on 27 September, after the Taliban had pushed ANA forces back to the airport. This article is about the 2015 battle. For the 2016 battle, see Battle of Kunduz (2016). Twelve hospital staff of Médecins Sans Frontières (Doctors Without Borders) and ten patients, including three children, were killed on October 3 by a prolonged series of US airstrikes on Kunduz Trauma Centre, an emergency trauma hospital run by the agency. Thirty-seven people were injured including nineteen staff members. Map showing the Taliban advance on Kunduz. The Taliban launched its attacks on Kunduz on 24 April, targeting four outlying districts around the city. 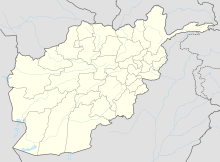 By the 28th, they largely controlled the suburb of Gortepa, while in the Imam Sahib District Taliban fighters surrounded an Afghan National Army base and Afghan Local Police forces in the area were forced to retreat on several fronts. In response to the attacks, the Afghan government dispatched several thousand army troops to the region, and President Mohammad Ashraf Ghani convened an emergency meeting with military officials. United States fighter jets were deployed under the authority of the Resolute Support Mission, although they did not fire on the Taliban. After a week-long standoff following the initial assault, government troops began an offensive on 7 May against Taliban fighters, which had largely grouped to the south of Kunduz in the Gul Tepa district. By late May, about 3,000 Afghan troops had arrived in the area, with Taliban strength estimated at 2,000 fighters, including militants from the Islamic State of Iraq and the Levant (ISIS) and the Islamic Movement of Uzbekistan. The surge of government troops forced the Taliban fighters to about 15 kilometres (9.3 mi) from Kunduz, back from their closest approach about 2 kilometres (1.2 mi) from the city earlier in the offensive. A Taliban counteroffensive in June brought insurgent fighters into the Char Dara District, several miles from Kunduz. On 21 June, a Taliban spokesman said that it had taken complete control of the district, and had captured local police officers. A spokesman for the Kunduz District police force disputed the claim, saying that while there had indeed been fighting in the district, the Taliban only controlled about half of it and had not captured any police. Throughout July, the Taliban continued to make gains, capturing towns outside Kunduz and in the Khan Abad District to the southeast. According to the commander of a local militia allied with the government, about 2,000 local militia members and government troops had been forced to retreat, as the Afghan government had failed to dispatch reinforcements and supplies. Also ISAF air power was not used to assist them. On the morning of 28 September, a rapid advance by the Taliban forces from three directions displaced the government troops in Kunduz city, who after several hours retreated to the outlying airport, leaving the Taliban in complete control of the city. According to a government security official, the Taliban had been vastly outnumbered, with only an estimated 500 fighters remaining against about 7,000 government troops and allied militia members. However, local politicians from Kunduz said that the government had failed to provide leadership and support to its fighters in the area. On 29 September, Afghan forces began a counterattack from the airport towards the city, supported by American airstrikes throughout the day in the area and US Army Special Forces personnel, many of whom had been deployed that morning. However, by the end of the day government forces had failed to make headway, as the Taliban forced them back to and surrounded the airport. The government also dispatched additional troops by both air and land, though reinforcements traveling via road were delayed by Taliban ambushes. By 30 September it was being claimed that anti-Taliban militias led by warlords were also joining the battle. Afghan and American ground forces began a ground offensive from the airport to Kunduz late on 30 September, and by daybreak on 1 October had captured several police facilities and the city prison from the Taliban. Late in the day, Afghan reinforcements arrived in the city, but American troops remained, as the Afghan forces planned to abandon their positions if the US soldiers retreated as they had intended. Afghan forces also claimed to have taken back Imam Sahib, although the wider Imam Sahib District remained under Taliban control. According to the Afghan defense ministry, about 150 Taliban fighters were killed in the day's offensive. On 4 October, Taliban fighters claimed to have recaptured the majority of Kunduz. The following day, Afghan troops mounted a counter-offensive that pushed the Taliban back out of much of the city, with the national flag raised over the governor's residence for the first time since the beginning of the battle. According to a police spokesperson, while the Taliban still threatened, their primary battle line had been broken. On 6 October, the Taliban renewed their attacks, apparently recapturing substantial portions of Kunduz, including the central Chowk Square and the northern part of the city. On 13 October, Taliban fighters withdrew from Kunduz after several days of heavy fighting with Afghan troops, who were supported by United States special forces and airstrikes. According to a statement published on a Taliban-associated website, the retreat was due to the prospect of additional casualties and ammunition expenditure in continued fighting. A US AC-130 airstrike hit a hospital run by Médecins Sans Frontières (MSF [Doctors Without Borders]), killing at least 42 people, in a series of bombing raids that lasted from 2:08 am local time until 3:15 am on 3 October. MSF said that the trauma center "was hit several times during sustained bombing and was very badly damaged," while there were 105 patients and 80 medical staff inside. The aid group said that it had warned US and Afghan authorities of the hospital's location ahead of time, but bombing continued for more than 30 minutes after it notified military officials it was under attack. Within the first weeks of fighting, an estimated tens of thousands of people had been displaced. In response, the World Food Programme sent aid packages for about 500 families in early May. By late May, some 100,000 people had been displaced, though some began returning as the Taliban were pushed back from the city proper. By 30 September, a number of Afghan parliamentarians began calling for the resignation of President Ashraf Ghani and CEO Abdullah Abdullah. In response Ghani's office replied that he had ordered an investigation into how Kunduz City fell so quickly. At least 30 people, mostly civilians, had been killed in the fighting as of Wednesday, September 30, 2015, according to a health ministry spokesman. He also said hospitals in Kunduz had treated about 340 wounded. By 5 October, the government's casualty estimates were of 55 dead and 600 injured. According to a U.N. report, at least 848 civilians were killed or wounded following the Taliban attack. ^ "Taliban exit Afghan city of Kunduz but claims mission was success". ^ "Taliban emir seeks to reassure residents of Kunduz". The Long War Journal. Retrieved 30 September 2015. ^ a b "Afghan Forces Make Little Progress in Retaking Kunduz". Bloomberg. Retrieved 30 September 2015. ^ "Taliban shadow governor for Kunduz denies reports of his death". The Long War Journal. Retrieved 1 October 2015. ^ "Taliban Takeover In Kunduz Echoes Islamic State Rout Of Mosul". NDTV. 30 September 2015. Retrieved 1 October 2015. ^ "Shaken by Taliban Victory in Kunduz, Afghans Flee Another Provincial Capital". New York Times. 30 September 2015. Retrieved 1 October 2015. ^ a b "Taliban vow to march on Kabulafter winning fight for key city". The Times. London. 30 September 2015. ^ "U.S. advisers fought alongside Afghans in retaking Kunduz from Taliban". CBC. 1 October 2015. Retrieved 3 October 2015. ^ "Taliban Kunduz attack: Afghan forces claim control of city". BBC. 1 October 2015. Retrieved 3 October 2015. ^ "AP Exclusive: Taliban Leader Says Afghan Insurgency Strong". ABC News. Associated Press. 2 October 2015. Retrieved 3 October 2015. ^ "At least 848 Afghan civilian casualties in Kunduz: U.N." Reuters. 12 December 2015. Retrieved 22 December 2015. ^ a b c d "Taliban Fighters Capture Kunduz City as Afghan Forces Retreat". The New York Times. 28 September 2015. Retrieved 29 September 2015. ^ "Afghan forces 'regain Kunduz control'". BBC News. 1 October 2015. Retrieved 1 October 2015. ^ Rubin, Alissa J. (1 October 2015). "Afghan Forces Rally in Kunduz, but Fight Is Far From Decided". The New York Times. Retrieved 2 October 2015. ^ a b Christopher Stokes (4 October 2015). "Death toll rises" (Press release). Médecins Sans Frontières. ^ a b c "Afghanistan: MSF Demands Explanations After Deadly Airstrikes Hit Hospital in Kunduz". Doctors Without Borders. 3 October 2015. Archived from the original on 2015-10-06. Retrieved 3 October 2015. ^ a b c "Afghan Troops Rush to Kunduz Amid Taliban Assault". The New York Times. 28 April 2015. Retrieved 29 September 2015. ^ "U.S. Jets Deploy as Afghan Forces Battle to Stop Taliban Advance". Bloomberg. 29 April 2015. Retrieved 29 September 2015. ^ a b c "Afghanistan forces defend Kunduz from Taliban". BBC News Online. 7 May 2015. Retrieved 28 September 2015. ^ a b c "Afghan forces struggle as Taliban seeks northern stronghold". Military Times. 26 May 2015. Retrieved 29 September 2015. ^ a b c "Taliban and Afghan Government Dispute Status of Kunduz". The New York Times. 21 June 2015. Retrieved 29 September 2015. ^ a b "Taliban Make Gains Across 3 Provinces in Afghanistan". The New York Times. 28 July 2015. Retrieved 29 September 2015. ^ a b c "Afghan Crisis Grows as Push to Retake Kunduz From Taliban Fails". The New York Times. 29 September 2015. Retrieved 29 September 2015. ^ a b c "U.S. Role in Afghanistan Turns to Combat Again, With a Tragic Error". The New York Times. 8 May 2016. Retrieved 24 December 2016. ^ a b "Afghan troops seize parts of Kunduz from Taliban". The Guardian. 1 October 2015. Retrieved 24 December 2016. ^ Qais Azimy (4 October 2015). "Taliban claims to recapture large parts of Kunduz city". aljazeera. Retrieved 4 October 2015. ^ a b "Afghan Forces Report Progress in Kunduz as Taliban Press Other Fronts". The New York Times. 5 October 2015. Retrieved 6 October 2015. ^ Nordland, Rod; Rahim, Najim (2015-10-06). "Taliban Gain Advantage in Tug of War in Kunduz". The New York Times. ISSN 0362-4331. Retrieved 2015-10-07. ^ a b "Taliban End Takeover of Kunduz After 15 Days". The New York Times. 13 October 2015. Retrieved 3 February 2016. ^ "At least 16 killed at Afghan hospital after U.S. air strike". Reuters. ^ "Aid agency says hospital staff killed in US airstrike on Kunduz". Stars and Stripes. ^ Fazul Rahim. "3 Dead at Doctors Without Borders Hospital After U.S. Airstrike". NBC News. ^ "Airstrike on Afghan hospital that killed 19 people continued after US was informed: medical charity". Australian Broadcasting Corporation. 3 October 2015. Retrieved 3 October 2015. ^ "Lawmakers demand president resigns as Afghan battle rages". Reuters. 30 September 2015. ^ Shalizi, Hamid (1 October 2015). "Afghan forces push into Taliban-held Kunduz city amid fierce clashes". Reuters. Retrieved 5 October 2015. ^ Shalizi, Hamid (5 October 2015). "Residents say Afghan forces regain most of Kunduz". SwissInfo. Reuters International. Archived from the original on 2015-10-06. Retrieved 5 October 2015. ^ Mackenzie, James (12 December 2015). "At least 848 Afghan civilian casualties in Kunduz: U.N." Reuters. Retrieved 22 December 2015.